Lions won the SHANGHAI 2013 BEST SPORT TEAM AWARD!!! 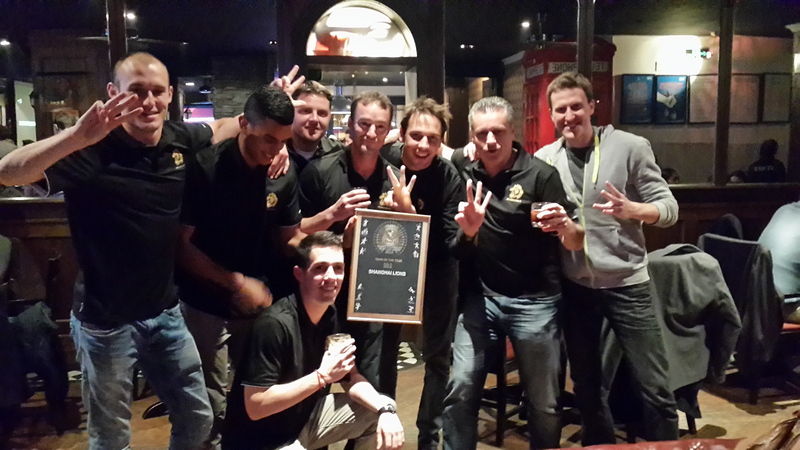 As most of you must know by now, we attended the That’s Magazine Sports Award at the Camel Bar yesterday evening and guess what; we won the SHANGHAI 2013 BEST SPORT TEAM AWARD!! !, all sports included, It is actually the second time we win this award, but it it still feels good! This award goes to all Lions that have contributed to our incredible success in 2013, winning SIFL/SPL/VETERANS leagues, LIONS Cup, Xiamen & Phuket tournaments, etc… ! We honestly deserve it, because we are by far the best football club in Shanghai!!!! To go on proving it, we need to win again both leagues this year and it starts by winning our 2 important games this weekend. It is the THIRD time we win this award, no?